Location was excellent. tube station is jst a couple of minutes walk. many restaurants, and other facilities very nearby. 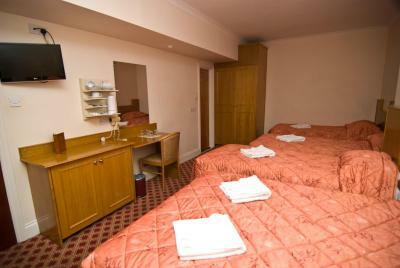 Only positive is the location of the hotel and closeness to Paddington station. Location is great. very close to Paddington station. breakfast was good as continental. Quite place, carpet cleaning is questionable. rooms are too small (this is London). The location is perfect. 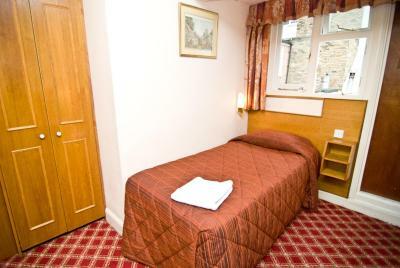 Very close to Paddington station, the city center / park / museums (history/science) without walking distance. Very comfortable beds and pillows. Quiet place, not noisy street. Clean room. 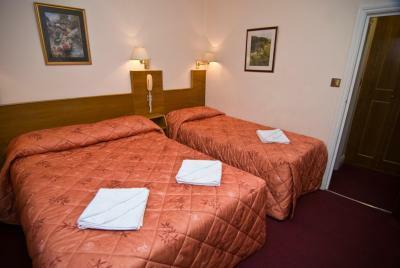 The location is good, It is clean, good for tourists who need a room for sleep only. And above all they have a good price compared to others. 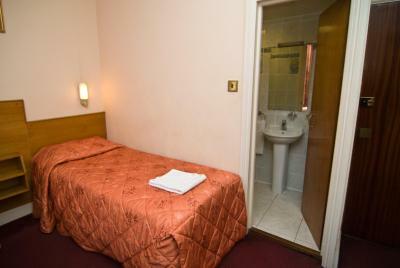 Cheap 40 GBP for a night in a single room with a private bathroom and breakfast! Friendly staff. 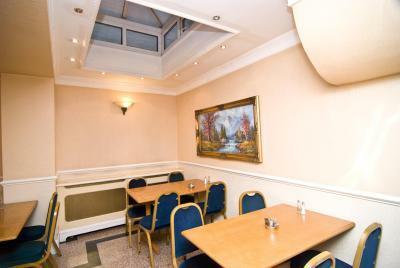 Location is perfect, walking distance to Hyde Park and Oxford street. Paddington station is very close. 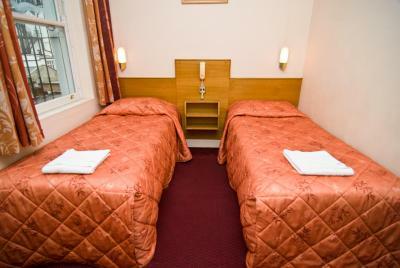 Single room is small but this is what I have expected, but the most important is the comfortable bed and clean bathroom. 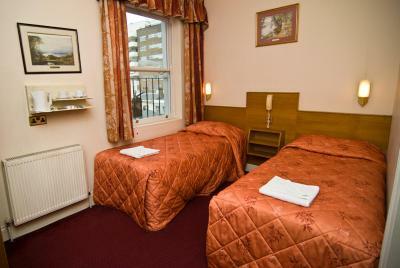 Location was really nice as it is very close to the bus and underground station. 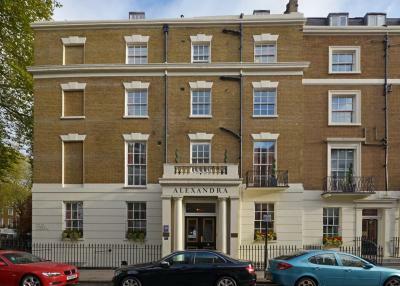 The Alexandra This rating is a reflection of how the property compares to the industry standard when it comes to price, facilities and services available. It's based on a self-evaluation by the property. Use this rating to help choose your stay! 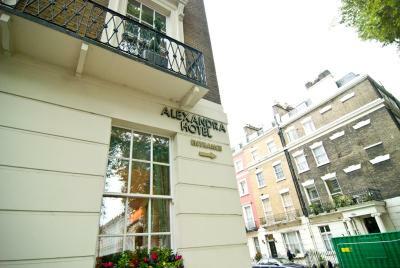 Just over a quarter mile from central London's leafy Hyde Park, The Alexandra has a 24-hour front desk. This Victorian townhouse is just a 5-minute walk from Paddington Train Station. 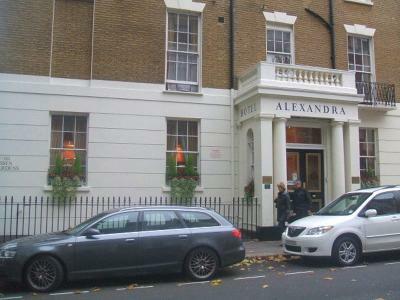 Alexandra Hotel is a 15-minute walk from the lively shopping of Oxford Street. 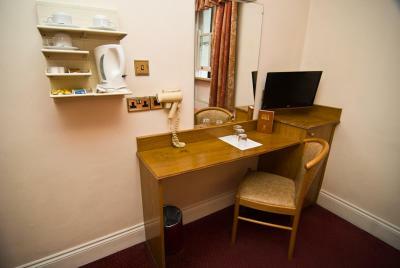 Traditionally decorated, the rooms includes a TV, telephone, and tea and coffee-making facilities. 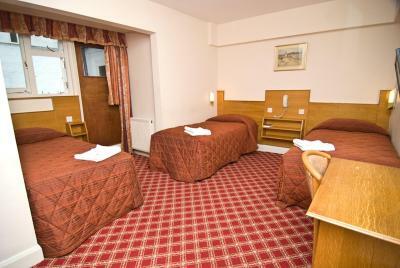 Each room has a private bathroom with a hairdryer. 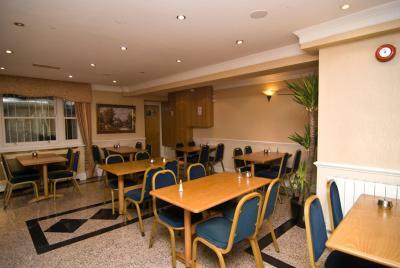 In the mornings, The Alexandra serves a light continental breakfast in the bright and spacious dining room. 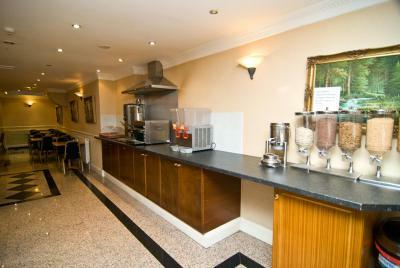 Breakfast includes a selection of hot and cold beverages, cheeses, and fresh toast. For lunch and evening meals, there are numerous cafes and restaurants within a 5-minute walk. 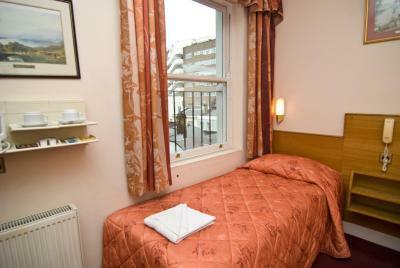 In the heart of elegant Paddington, Alexandra Hotel is 1 miles from the popular Madame Tussauds. 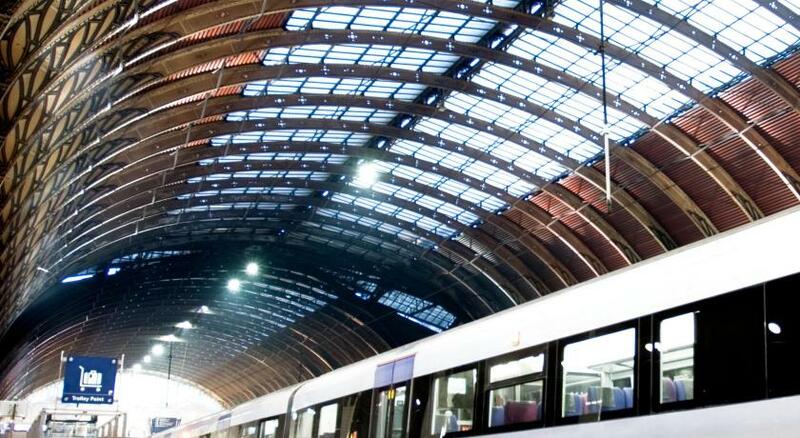 Paddington Underground Station is just a 5-minute walk away and has 10-minute connections to Regent's Park, home to the ZSL London Zoo. 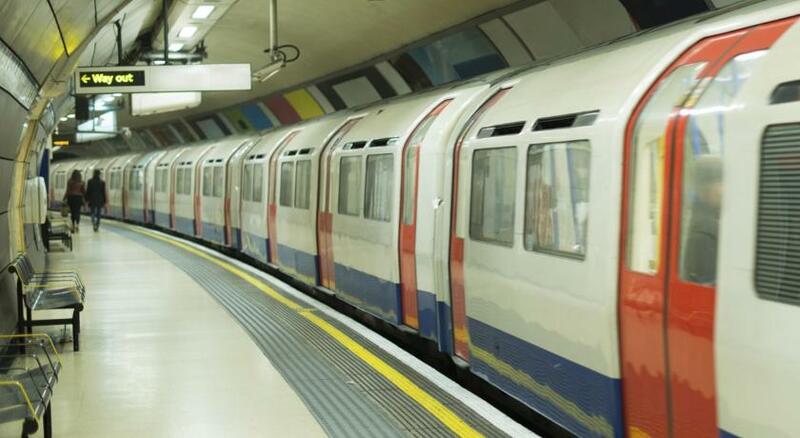 Lancaster Gate Underground Station is within a 5-minute walk of the property. 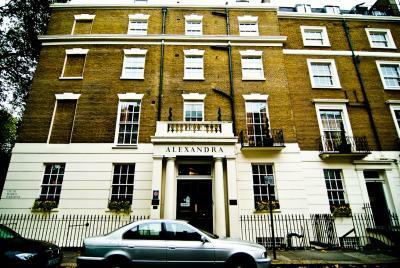 When would you like to stay at The Alexandra? 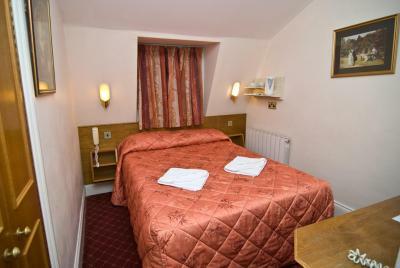 This quadruple room has an electric kettle and tea/coffee maker. 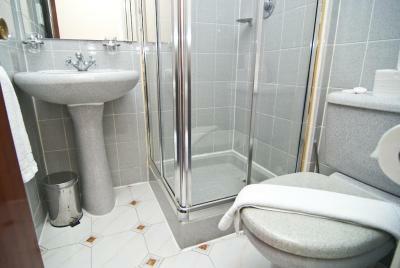 An private bathroom, TV and tea/coffee making facilities are featured in this room. House Rules The Alexandra takes special requests – add in the next step! The Alexandra accepts these cards and reserves the right to temporarily hold an amount prior to arrival. We had a triple room in the basement which looked out on stairs with rubbish. The carpet looked like it had seen better days and I think the cleaner had just chucked a few things at the bottom of the stairs. Pretty grotty really, but I suppose you get what you pay for. 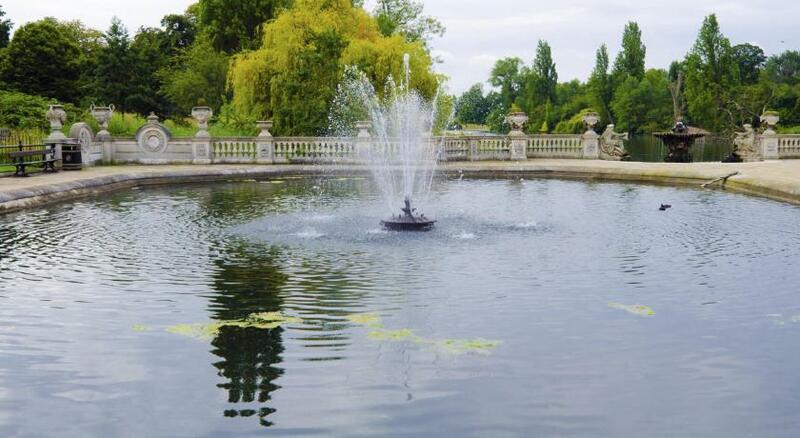 The location was great, near to Paddington, Hyde Park and Marble Arch. Location was great. Price was good. Very clean and comfortable. I would come back. And recommend it to friends. Breakfast is at 7.30 to 9.15. By 8.45 there was not a lot left and by 9am the staff start cleaning and hoovering around you and on the second day they even got the mop out and mopped around customers still eating breakfast. The stink of bleach is not pleasant while eating. The view from the room was terrible as we were on the ground floor at the back of the building and all we could see was scaffolding and no natural light whatsoever. There was no decaf tea or coffee available. 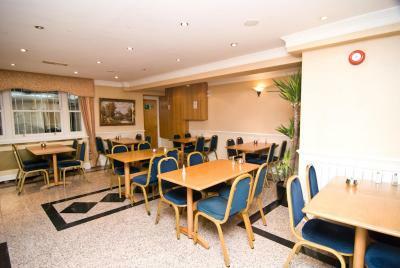 The reception staff were very helpful and the room was very clean and comfortable. The location is fantastic, just a few minutes walk from Paddington. Good value for the price we paid. Really old carpets, wallpaper and furniture. Great location. 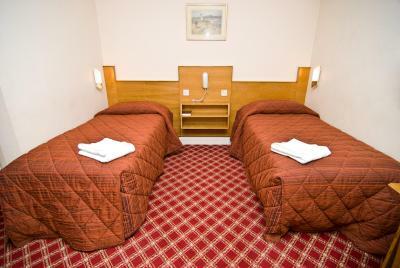 The price was good and the beds ok.
poor room which was across the road from the main hotel. Cons: Hideous decor, adequate continental breakfast , horrendous coffee. You get what you pay for. Great location. What can you expect for £65?! Pros: Cheap, clean, good location. Smelly room in basement, no soap or shower gels!!! Rude & very unpleasant staff, he even confused where is my room located. Wifi need to pay. There is a lift for certain rooms only. As for my room, i need to carry up & down the heavy luggage. Hotel should know that almost all guest are tourist & we bring the heavy stuffs. Two 70+ year olds lugging heavy suitcases up a steep flight of stairs. We were told they had a lift, which they did, but not to every room. We ordered a taxi and got an over-priced hire car. Location. Close to eateries and public transport. No soap or shower gel in bathrooms, feels a little tired. Location was good, in a nice street with a good pub at the end. Good value and breakfast as well! No air con and the fan in the room was noisy, but you can open the windows, which was okay as the area was surprisingly quiet at night. 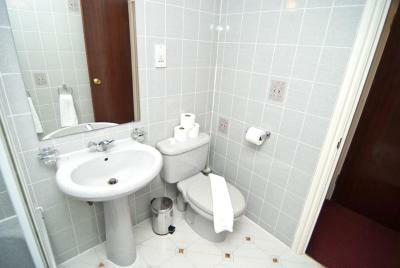 The bathroom is very small which makes the sink a little difficult to use as its so close to the door. Just as an aside; the 'free toiletries' are small bars of soap so you will need shower gel etc. The beds were very comfy. The shower was excellent and easy to use. The breakfast was plentiful and there was plenty of space in the room to eat. The staff were very friendly. 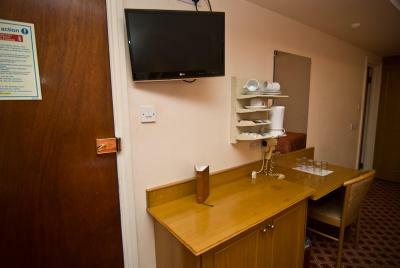 There's a T.V in the room, although it is rather large for the room. The room was a bit small, and although it had what we needed, there wasn't much room to move about. However, it was fine for one or maybe two nights, but I think for a long stay it would be a bit too cramped. Really.its amazing hotel room clean tidy.bright.recaption very welcome and coporative We I'll back again definitely.super location super staff.super breakfast. The shower in our room was amazing.